Finance Minister Arun Jaitley has once again attacked Congress on its 'impeachment' notice against the Chief Justice of India in a Facebook post on Tuesday. Jaitley has called the impeachment motion 'misconceived' and 'poorly drafted'. "The misconceived motion for the impeachment of the CJI is just one example of the growing tendency of lawyer-Members of the Parliament to drag intra court disputes into the parliamentary process to help different interests", Jaitley remarks in his post. Earlier on 20 April when Congress had moved the motion, Jaitley had said in a Facebook post that "CJI impeachment motion is Congress' revenge petition after its falsehood in judge Loya case was revealed". 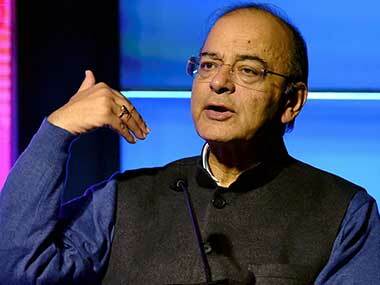 "Impeachment should not be allowed to be used as a political tool," Jaitley had hit out at the opposition. 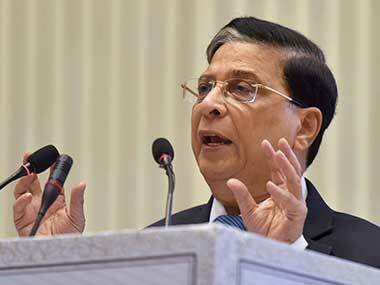 "It has shaken democratic conscience that national political parties, a few retired judges and some senior lawyers so closely identified themselves with the generation of falsehood that they almost come out as conspirators", he had said after the Supreme Court dismissed all PILs asking for a further probe in Judge Loya's death. Unquestionably the impeachment motion was poorly drafted. The level of proof required to impeach a judge of being guilty of “proved misbehaviour” has to be proof “beyond reasonable doubt”. Any inquiry set up subsequent to a possible admission of a motion cannot be a fishing and roving inquiry. The inquiry does not have to search for better evidence or a better set of facts. The motion must contain a definitive case which makes out a case “beyond reasonable doubt” that the judge is guilty of “proved misbehaviour”. 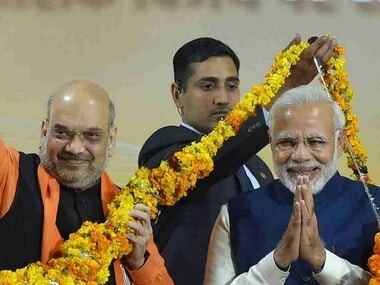 Charge 1: When the 64 Members of Parliament present a best case scenario that the Chief Justice of India "may have been involved in the conspiracy of paying illegal gratification”, can it be said that this makes out a possible case, if accepted in totality, one of proof “beyond reasonable doubt”? "On initiation of the process in the prescribed manner, the Speaker/ Chairman is to decide whether the accusations require investigations. If he choses not to act on the accusations made in the form of a motion by a minimum number of Members of Parliament, the matter ends there”. For the Congress Party to carry forward its mistake of subjecting legislative processes to judicial review would be a blunder. The Parliament is supreme in its own jurisdiction. Its process cannot be subjected to judicial review. The entire text has been taken exactly as posted on the Arun Jaitley's official Facebook page and has not been edited by Firstpost for style or content.